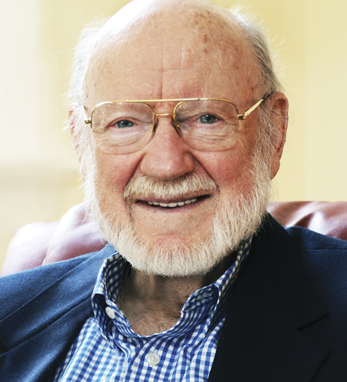 Donegal native Dr. William Campbell was awarded the Nobel Prize in medicine for his work on a drug that fights roundworm-related infections. He and his colleague, Professor Satoshi Omura, shared this year’s award for their work in discovering Ivermectin, which has drastically reduced occurrences of river blindness and lymphatic filariasis (commonly known as elephantiasis tropica), among other ailments. The drug was developed in the late 1980s and annually treats roughly 25 million people, preventing new cases of river blindness. Dr. Campbell was born in 1930 in Ramelton, County Donegal and graduated from Trinity College, Dublin with honors in 1952 with an undergraduate degree in zoology. He earned his Ph.D. from the University of Wisconsin in 1957. Campbell is currently a research fellow emeritus at Drew University in New Jersey, and despite having lived in the United States for many years, has remained exceedingly proud of his Donegal heritage. In fact, he always begins his semesters at Drew by showing his new students a picture of his father’s cows on the Mall in his hometown. Click here to read Campbell’s April / May 2017 Hall of Fame profile.